You will be one of the founding members of our analytics & insights team. This gives you the opportunity to work with an extremely high degree of freedom and shaping that teams focus and roadmap. You will have ample support from our data engineering team to access the ~10 TB of data we store every single day across our various data centres. Your job is to build analytics and product features on top of that data and derive valuable insights for our business teams and customers. Kayzen powers the world’s best mobile marketing teams to take programmatic in-house. 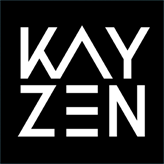 Built on the three key pillars of performance, transparency, and control, Kayzen is a software platform which enables leading app developers, agencies and entrepreneurs to run programmatic user acquisition, retargeting and upper funnel campaigns in-house. With engineering teams across Berlin and Bangalore, we work on some of the most complex problems in ad-tech building scalable systems listening to 60bn daily ad requests from 1bn+ unique users worldwide. Kayzen platform is based on sophisticated network of microservices accessible via API and elegant user interface.